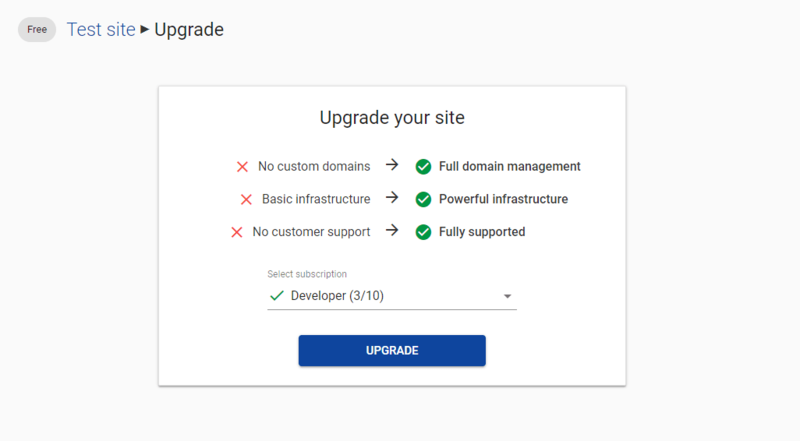 You cannot use production domains like yourdomain.com. There are no guarantees about uptime & the sites generally run on a weaker infrastructure. We do not provide support for free sites. You have an option to select a free site when adding a site. After the upgrade is done, you can add custom domains. Free sites are frozen after 30 days of inactivity. You can unfreeze them from the portal or by visiting their ULR in the browser.